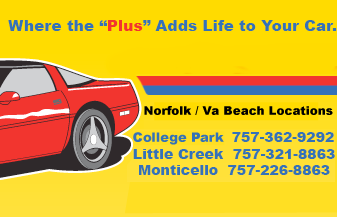 Full Service Auto Repair serving the Norfolk, Virginia Beach, Hampton Roads, VA area. Locally owned and operated since 2001 with 3 convenient locations in Hampton Roads to serve you. We do it all… and at an honest price! Home of the $16.95 Oil Change! WARRANTIES: We accept most major warranty programs. Approved Vendor: We Service Enterprise Fleet Management Program Vehicles as well as Wheels/MAP Advantage Network!